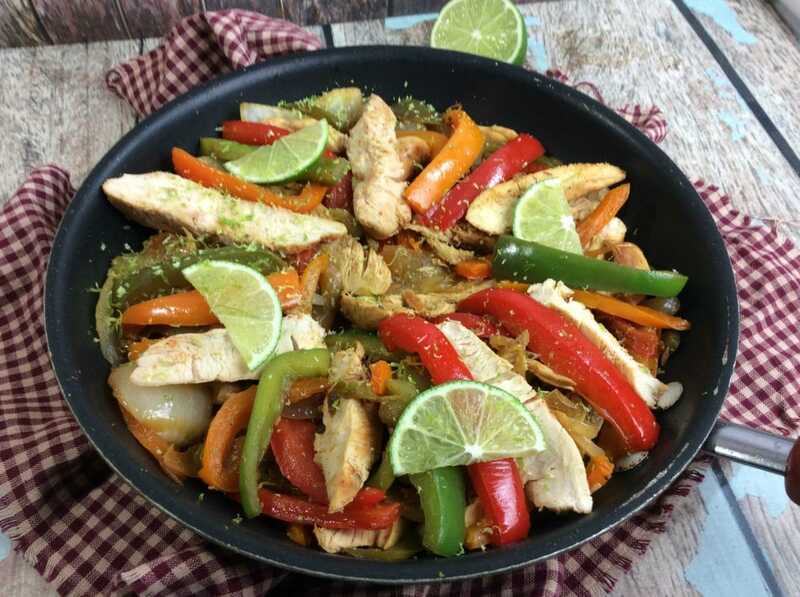 Lady and the Blog → Food and Drink → recipe → Chicken And Pepper Fajitas Recipe: SO EASY! Chicken And Pepper Fajitas Recipe: SO EASY! 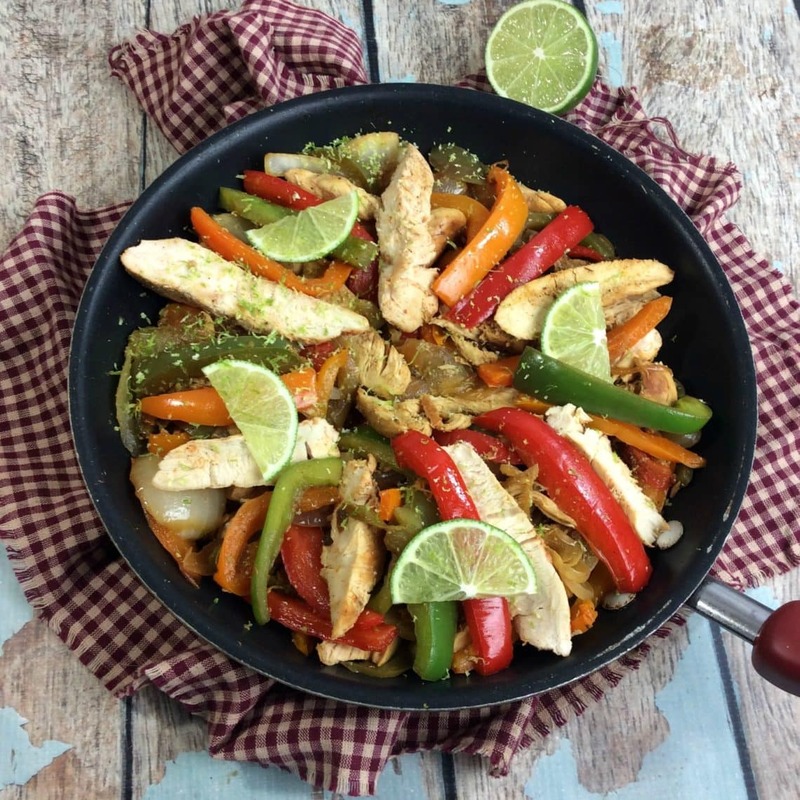 Chicken and pepper fajitas are so easy to make and everyone loves them! If you are looking for a recipe to bring into your rotation, consider adding this one to your mix. 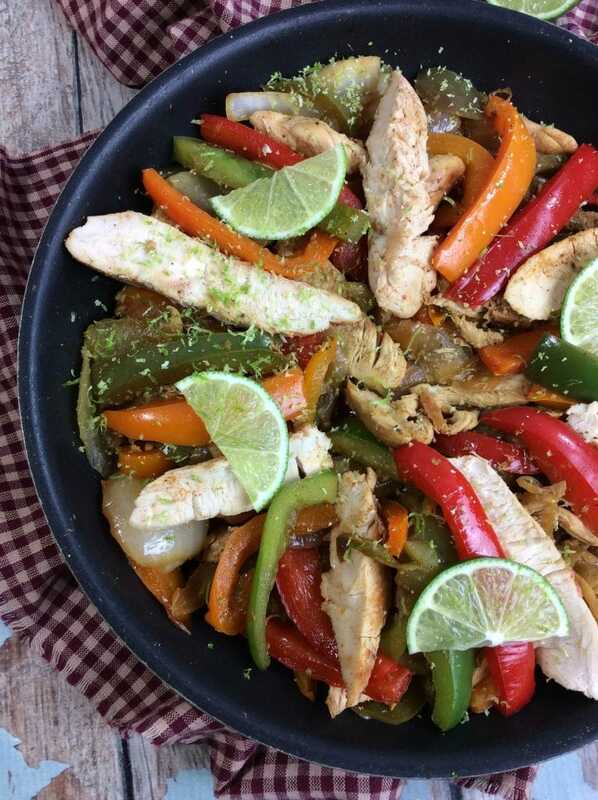 Only fresh ingredients and a few minutes of your time are needed to make this delicious chicken and pepper fajitas recipe. Season your chicken with lemon-lime seasoning, Spanish paprika, salt, and pepper – on all sides. In a skillet, add 3 tbsp. of olive oil and place on your stovetop at medium heat to high heat. Once you start to hear the oil “pop”, add your chicken and cook on high for 5 minutes until the tenders look crispy. Then rotate and cook for another 5 minutes. Reduce your heat to medium and cook on both sides for 12 minutes each and cook through. Place on the side once done. Remove the skin off your onion and chop into 1-inch slices. Remove the stem/seeds and slice your peppers 1-inch strips. Add your peppers and onion to the pan add salt and pepper to taste. Cook on medium heat until tender. Turn off your heat on your stovetop and place the chicken back in the skillet heat on medium. Remove the stems off your cilantro and dice into small bits. Slice your limes and squeeze the fresh juice all over the chicken and peppers. Add the cilantro on top of your chicken. Garnish with lime wheels cut in half. Enjoy.